Namaskaar. In this Part 7 of the Introduction to Bhagavad Gita, Pujya Swamiji continues and takes up the topic of Ved Pramana, the basis for accepting the Vedas as the means of knowledge and ultimate authority in our daily lives, especially in the understanding of our own Self. This you must know. The enlightened mind is not brought about by the elimination of thoughts. Knowledge always comes because of an appropriate means of knowledge. There is no way of altering knowledge and there is no replacement for a means of knowledge. Therefore, what can be known by a given means of knowledge can be known only by that means of knowledge. There is no accommodation here. If you have to see a colour, what accommodation can there be? Only the eyes will see colour; your nose certainly will not. There is no other means for knowing colour except the eyes. Given that everyone wants freedom from being a wanting person, everyone wants moksa. When it is put in this way, it looks as though moksa is just another end. In fact, it is not another end; it is the end, the end behind all ends. We refer to moksa as another end, another purusartha, only because people do not recognise it as the only end, even though they seek freedom from insecurity. 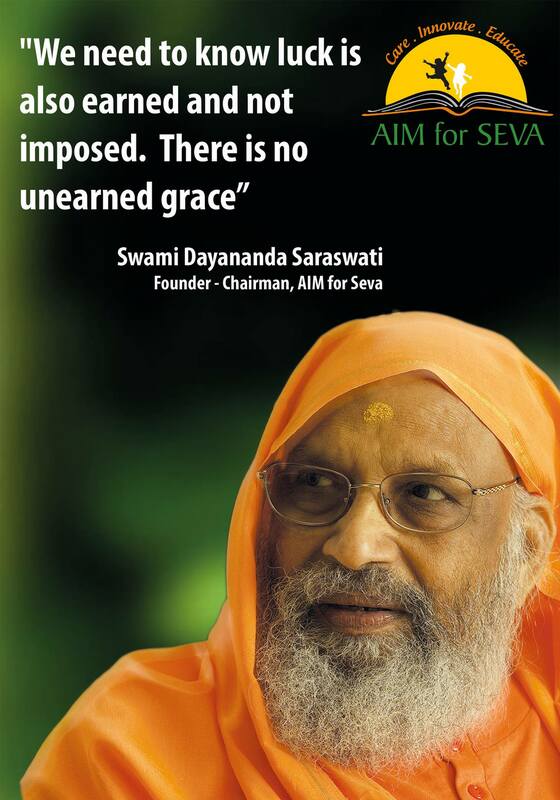 Recognising this end is the culmination of one’s life; the end of samsara – insecurities and unhappiness. WHY DO I SEEK OUT SECURITIES AND PLEASURES? We only desire that which we know. No one can desire an object that is unknown to him or her. None of you has a desire for ‘Gagabugan,’ for instance. An unknown Gagabugan cannot be an object of desire. In fact, there is no such thing as Gagabugan. No amount of coaxing will cause you to get into your car and go to buy Gagabugan. But, you always have a reason for getting into your car. Some desire is always being fulfilled. Thus, an unknown object does not become an object of desire. Namaskaar. 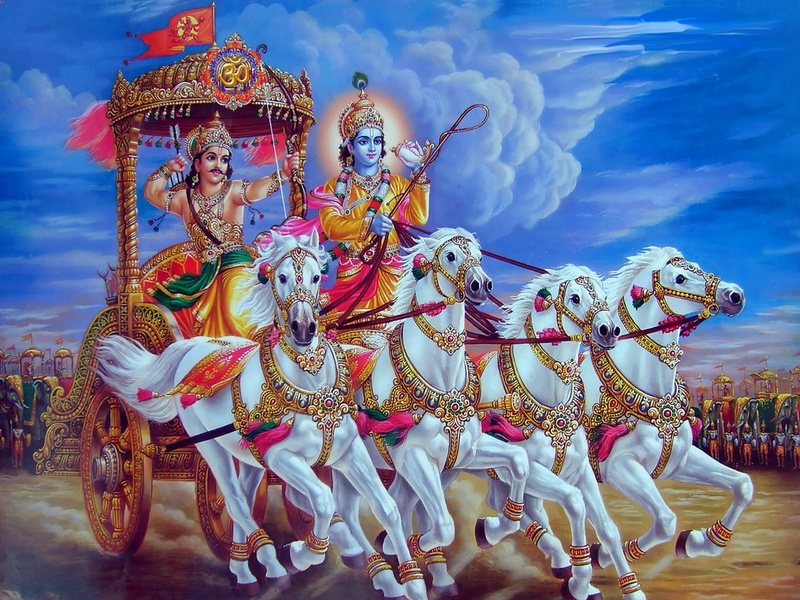 We move on to Part 4 of the Introduction to Bhagavad Gita series by Pujya Swami Dayananda. You will agree with me that the concepts are explained so clearly and in such easy language with examples that the study actually becomes a pleasure. THE WORLD IS NOT THE CAUSE OF YOUR PROBLEMS To be displeased, then, requires nothing but yourself. It is not the world that displeases you; you are displeased with yourself. And whatever pleases you is going to be time-bound, all of which we will see as we study the eighteen chapters of the Bhagavadgita.